On a weekend in April, Tufts students participated in a live, post-conflict simulation known as FieldEx (Field Exercise for Peacekeeping and Stability Operations). FieldEx is an annual event organized by a committee of undergraduate students of the IGL’s ALLIES program. 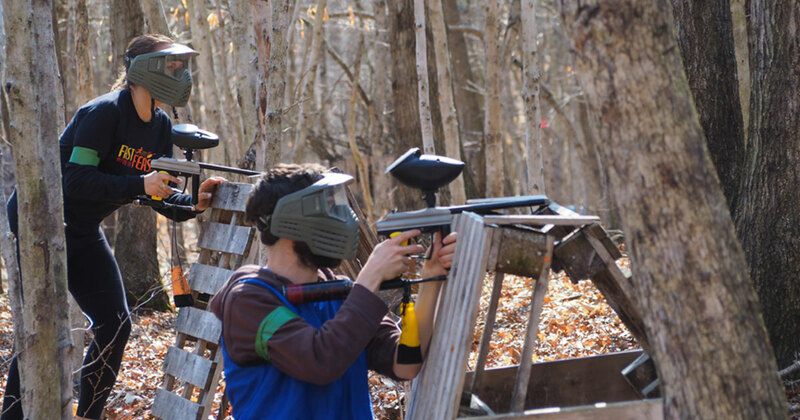 This year, as with past years, we saw students from all areas of study come together to navigate a predetermined scenario on a paintball field. While in the past, our scenarios have touched upon everything from resource conflicts to epidemic outbreaks, this year’s event centered around cartels and a drug-centric economy. The primary groups at the beginning of the scenario included a government entity, two cartels, and a cohort of farmers. Each group was provided with members assigned to roles to either promote or undermine their allegiances. Over the course of the event, one cartel ceased to exist, a brand new government agency was formed, and a farming collective was created. Aided by several helpful graduate advisors, FieldEx participants were advised on security, intelligence operations, tactical maneuvers, and more. For 24 hours, students successfully (and gracefully) took on personas motivated by values that the students themselves may or may not have related to. They forged new relationships, negotiated terms, and ultimately cleared their own paths in this learning experience. FieldEx is a valuable learning tool because it allows International Relations/Political Science students to get to play out theories and understand realistic dynamics between armed and unarmed groups within a contained environment. For members of the team and the 2018 participants, this event is an invaluable experience in why what may work on paper won’t work on the field. Additionally, our actions and decisions on the field are more telling of the kinds of leaders/diplomats we are than a paper or tabletop simulation.